Say goodbye to wobbly attempts at washing or cleaning teeth on tiptoes. The BIG Baby Splash is the ideal wash basin for children and is perfectly adapted to the needs of tiny tots. It can be easily attached to the edge of standard bathtubs by means of adjustable mounting clamps that do not require any screwing. In the folding mirror with its shatterproof surface the children can check whether or not their teeth and face are really clean. Included in the set is a funny toothbrush cup with the BIG Bobby Cor motif, which can be safely stored away in one of the two holders. Subsequently, the water can be easily emptied from the basin through the drain in the centre. All that is needed is to open the soft plastic closure. After folding down the mirror, the wash basin can be stored away. 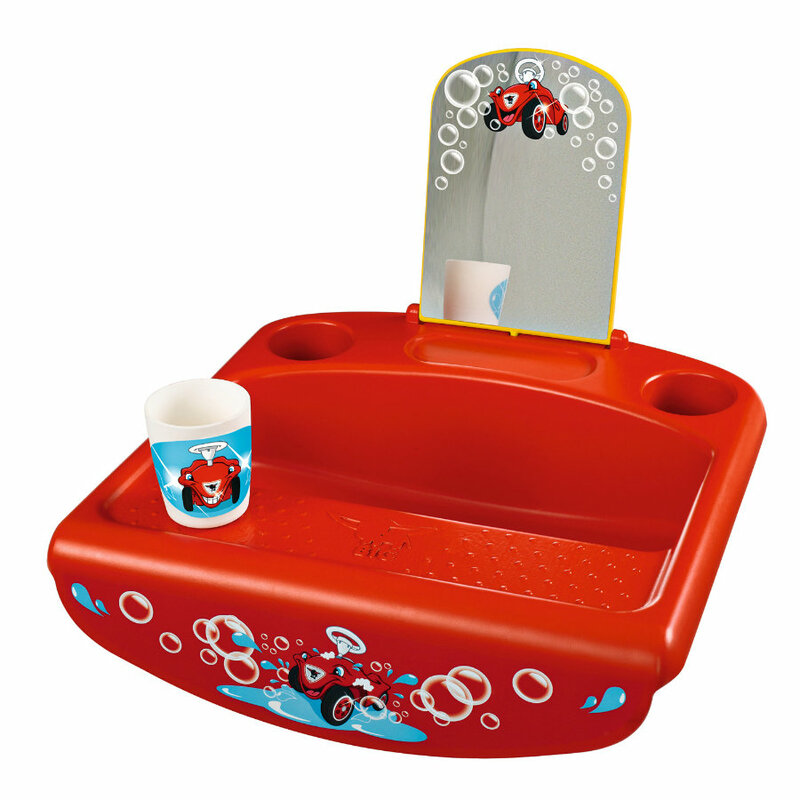 The BIG-Baby-Splash teaches children how to wash themselves and clean their teeth through play. A big step on their way to growing up! The wash basin is made from robust and hard-wearing plastic, which can be easily cleaned. Humorous Little Bobby designs/motifs make the kiddies’ wash basin particularly attractive. Two rotating clamps on the underside further allow the basin to be placed on any level surface.